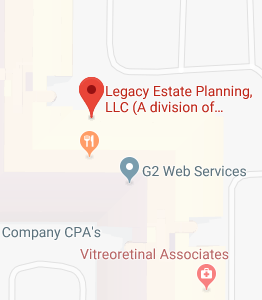 Welcome to the Estate and Medicaid Planning Information Center, brought to you by Legacy Estate Planning, LLC (a division of Stephen M. Waltar, PS). We are an estate and elder law planning law firm in Bellevue & Seattle, WA, whose mission is to provide families with quality estate and Medicaid planning resources. When you visit or call our office, we want you to feel comfortable discussing such an important issue concerning both you and your family. We want to arm you with the information you need to make informed decisions about your family’s future. Through the use of Living Trusts, Wills (simple and complex), Powers of Attorney, Living Wills, Irrevocable Trusts, Family Limited Partnerships, and Charitable Gifting Strategies, our firm helps families preserve their wealth for future generations, minimize estate taxes, and avoid the expense and nightmare of probate. Legacy Planning is a more holistic approach to estate planning. We help clients preserve their financial wealth and their legacy – including their life stories and family heirlooms – for future generations. Our non-traditional planning methods include special provisions and protections in Living Trusts, Wills (simple and complex), Powers of Attorney, Living Wills, Irrevocable Trusts, Family Limited Partnerships, and Charitable Gifting Strategies. This planning also includes minimizing estate taxes, avoiding the expense and nightmare of probate, protecting against remarriage after death of the first spouse, and protecting beneficiaries from a possible future divorce. We help clients preserve their wealth and achieve their long-term financial goals. We work closely with clients’ financial advisors to make sure their estate plan and their financial plan are coordinated and meet the clients’ goals. We help clients who are small business owners and those who are most susceptible to being sued by assisting with Lawsuit and Asset Protection. We also assist with Business Succession Planning and Small Business Planning. Some of the tools and strategies used are Family Limited Partnerships, Limited Liability Companies, and Buy-Sell Agreements.